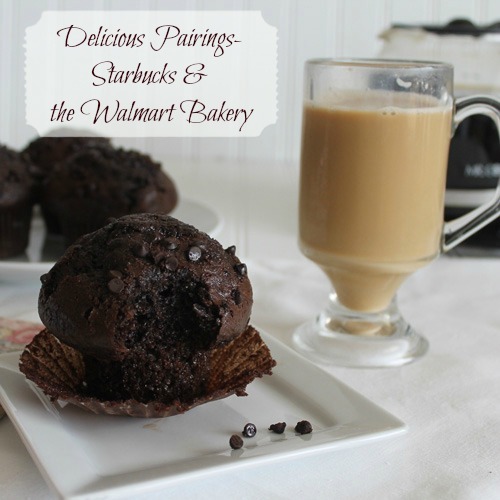 Starbucks and the Bakery at Walmart #deliciouspairings - Chocolate Chocolate and More! Did you know that it’s American Chocolate Week? It’s ok, I didn’t either but who am I to object to a week dedicated to chocolate. I was so excited to be chosen to go to Walmart for the Delicious Pairing of Starbucks and the Bakery at Walmart. They were even having a demo of Starbucks Mocha Blend Coffee! Yup, sign me up! Starbucks coffee is a treat in our house, reserved for the weekends. Lazy Sunday mornings.